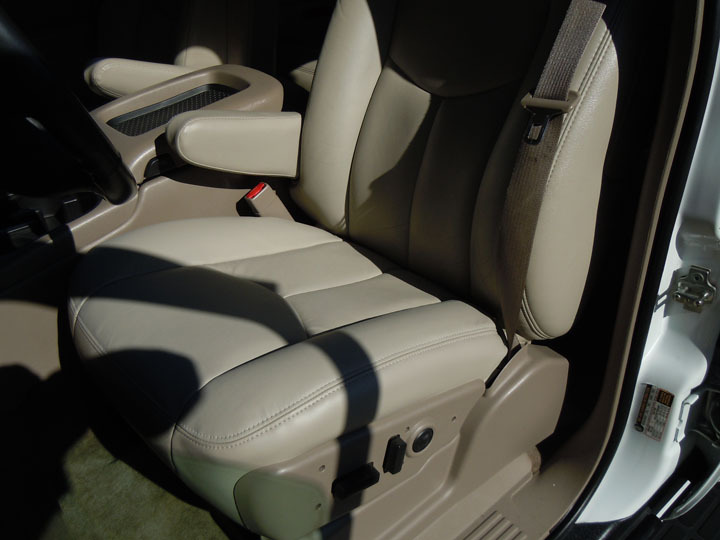 Here’s the deal…Today we installed new driver and passenger leather seat covers on a 2004 GMC Yukon. We replaced just the bottom seat covers. This happened to be the Shale interior associated with trim code 522. 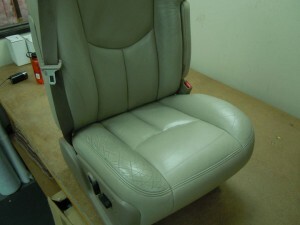 The tops are 100% OEM, and is all we did was clean and condition them with Lexol leather conditioner. After cleaning the seat top, the color match was great!!! Here are some of the pictures from the install at The Seat Shop. We spend a lot of time matching our leather so that our customers can replace whichever pieces are wearing out, so that the new leather seat covers match with the OEM interior. 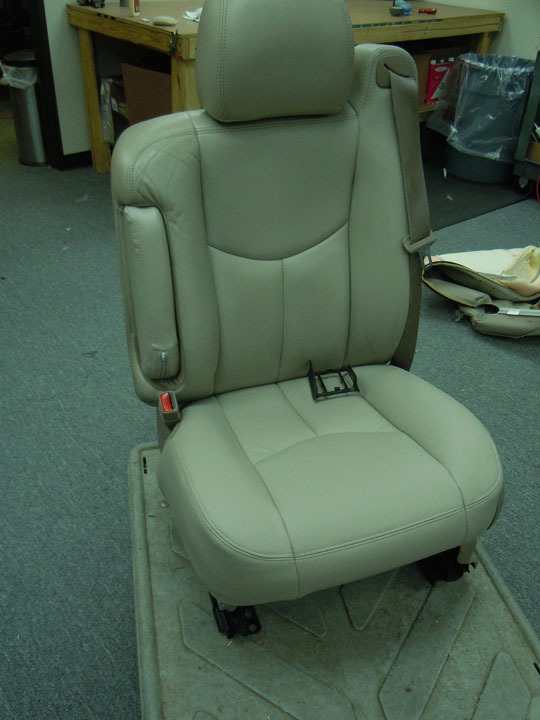 If you need replacement leather seat covers for your truck or SUV, give us a call at 214-710-2565. Thanks!